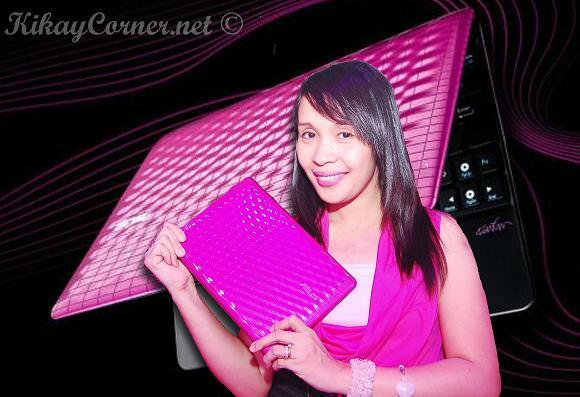 Kikay Corner was picked by the Asus team during the Asus EEE PC Seashell Karim Rashid Collection (1008P) Philippine Launch held last night at Icon Intercontinental Hotel, to receive this fab of a netbook. There is probably no netbook more Kikay than this. I love it to bits! My dear hubby owns an ASUS netbook (1005HA), so I know how this little monster performs. 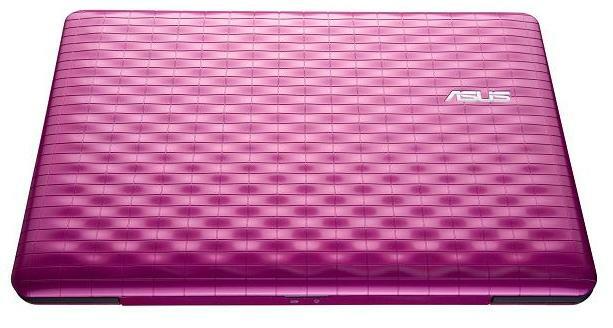 I love that I now have a matching all girly, pink, just the way I want my netbook to be. Karim Rashid, one of the world’s leading designers definitely made this particular Eee PC Seashell more appealing and hip. To achieve this distinct and gorgeous look, ASUS’ industrial designers have had to pioneer a plethora of material, production, and textural innovations, such as the combination of rubber paint, in mold roller (IMR), and metallic materials to create thoroughly unique finishes. Hot Pink is the new black for fashion and a shock of punchy pink is just the thing to brighten any ensemble. This positive and very orgulous color clearly communicates the idea of immateriality, entropy and energy of a strong optimistic presence. 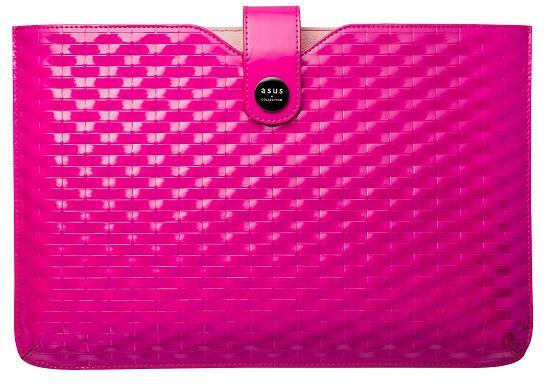 The Hot Pink Eee PC™ 1008P—which recalls a fashionable woman strolling down New York’s Fifth Avenue—has a metallic silver bottom layer and a transparent Hot Pink IMR upper layer. Since the introduction of the first Eee PC™, ASUS has inched high technology ever closer to high fashion. 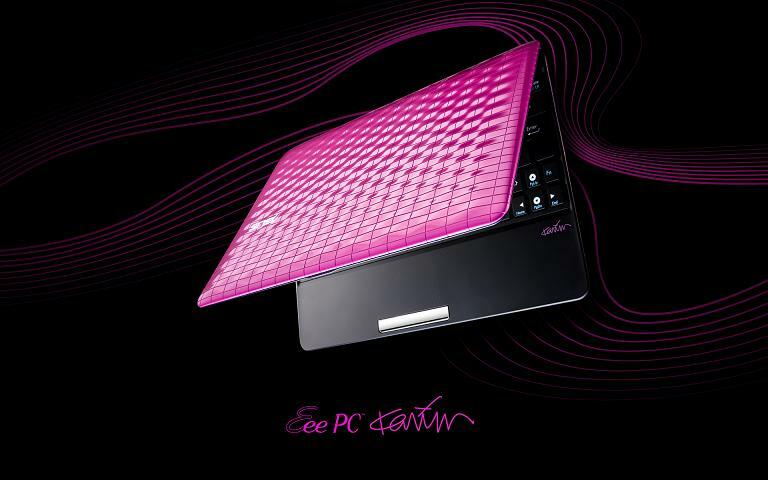 With the Eee PC™ Seashell Karim Rashid Collection (1008P), ASUS has taken a decisive leap onto the catwalk. Co-conceived by one of the world’s leading designers, the Eee PC™ Seashell Karim Rashid Collection is the realization of Karim’s vision of computing—one that is more sensual, more human, more hip. Completely contemporary and anathema to nostalgia, these netbooks are more daring, more intersecting, and are designed to appeal to young, mobile trendsetters while remaining an accessible luxury to everyone. The Eee PC™ Seashell Karim Rashid Collection manifests ASUS’ commitment to designing products that appeal to the five human senses, with an emphasis on vision and touch. To achieve this, ASUS’ industrial designers have had to pioneer a plethora of material, production, and textural innovations, such as the combination of rubber paint, in mold roller (IMR), and metallic materials to create thoroughly unique finishes. Karim’s inspired touch is imbued in every inch of the Eee PC™ Seashell Karim Rashid Collection. It is encased from top to bottom in an organic Digi-Wave chassis that is as pragmatic as it is stylish—offering striking looks and robust protection. The rippling lines—which convey a sense of forward movement—adhere perfectly to the golden ratio, bearing testament to the extreme precision required to produce the subtle waves and retain color consistency across the peaks and troughs. The in mold cutting was measured and tested with unprecedented precision by ASUS’ designers, resulting in a gadget that boasts the prestige of a handcrafted product. The perfection of each wave can be perceived with the gentlest of touches. 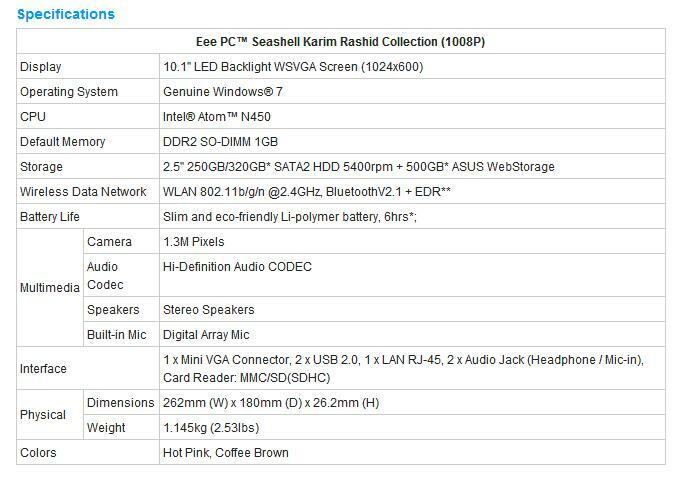 The Eee PC™ Seashell Karim Rashid Collection reflects Karim and ASUS’ view that function, material, form, performance, texture, color and ease-of-use are inseparable in any object of beauty. It is designed to stimulate all five human senses, including the sense of touch, which is often overlooked in the PC domain. The Eee PC™ Seashell Karim Rashid Collection thus sets itself apart from other netbooks through its innovative finishes that pamper users’ palms and fingertips. The Eee PC™ Seashell Karim Rashid Collection also stands out prominently through its colors—its specific hues, tints and saturations were carefully selected to appeal to tech fashionistas. It is available in bold, glossy Hot Pink or classic, matte Coffee Brown. The Eee PC™ Seashell Karim Rashid Collection features a breathtaking design that includes a 10.1″ frameless LED backlit display and an ergonomic chiclet keyboard. This beauty is matched by its computing prowess. It features the new power-saving Intel® Atom™ N450 CPU, which works in tandem with ASUS’ exclusive Super Hybrid Engine energy management technology to deliver 6 hours of battery life on a single charge. The Eee PC™ Seashell Karim Rashid Collection also offers near-instant access to the Internet thanks to the inclusion of Express Gate, an ancillary operating system that boots up in seconds. Express Gate allows users to make Skype calls, surf the web, browse photos, play online games, engage in instant messaging, and much more. Subtle, mature and understated yet elegant, Coffee Brown is timeless and classic—bringing to mind a gentleman sipping coffee at the Café de la Seine, enjoying a relaxing afternoon by reading John Wooden’s poetry. The Coffee Brown Eee PC™ 1008P has two layers: a Coffee Brown bottom layer sprinkled with gold glitter, and a soft-to-the-touch upper layer of translucent rubber paint. And what could perfectly go with my spanking brand new Eee PC Seashell Karim Rashid Collection Netbook, than its very own equally gorgeous jacket to house it in. Love it! Thank you Asus Philippines! Wow! So much blessings! Congratulations Mommy!! Congratulations!!!! 🙂 I own an ASUS laptop too! It does work and I love the size! Yours is way kikay! so pink! 🙂 You deserve it! wow sis! you’re so blessed 🙂 Congrats! Owww that’s a very sweet prize! Wish to have one like that:) Congrats!!! wow!! such a wonderful blessing 🙂 I am praying for one!